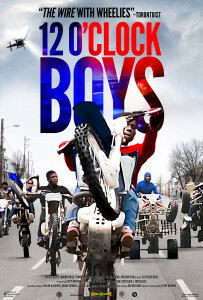 Pug, a thirteen year old boy living on a dangerous Westside block of Baltimore, has one goal in mind: to join the 12 O’Clock Boys; the notorious urban dirt-bike group. Converging from all parts of the inner city, they invade the streets and clash with police, who are forbidden to chase the bikes for fear of endangering the public. Pug looks to the pack for mentorship, spurred by their dangerous lifestyle and deep bonds. He narrates their world as if explaining a dreamscape—an action-packed world full of power and freedom. The film captures this world with unprecedented intimacy as the riders themselves guide us into a culture few get to access. The film presents the pivotal years of change in a boy’s life growing up in one of the most dangerous and economically depressed cities in the United States. 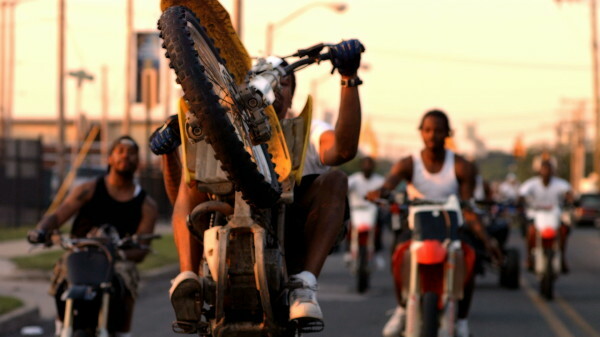 The 12 O’CLOCK BOYS are a notorious urban dirt bike pack in Baltimore — popping wheelies and weaving at excessive speeds through traffic, the group impressively evades the hamstrung police. 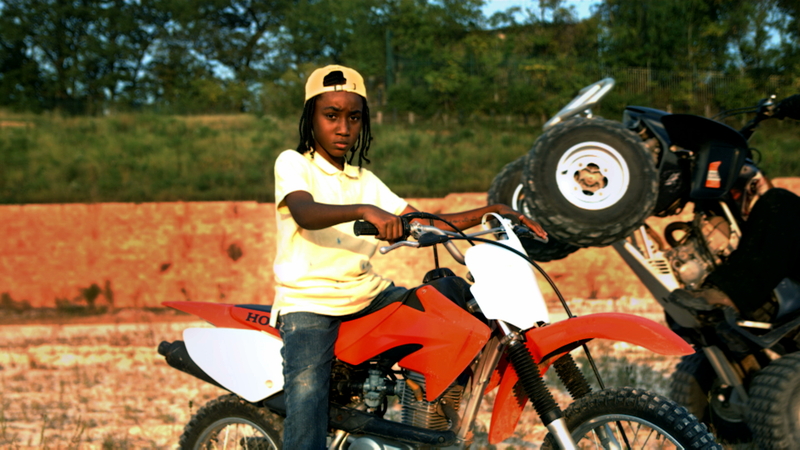 In Lotfy Nathan’s wild, dynamic documentary (three years in the making), their stunning antics are envisioned through the eyes of young adolescent Pug – a bright kid from the Westside obsessed with the riders and willing to do anything to join their ranks. Premiering to critical acclaim at the SXSW and Hot Docs Film Festivals (where Nathan won the HBO Emerging Artist Award), 12 O’CLOCK BOYS provides a compelling and intimate personal story of a young boy and his dangerous, thrilling dream. Lotfy Nathan, 26, is a fellow of the Garrett Scott Foundation, IFP Lab, IFP Spotlight, and a recipient of the Grainger Marburg Grant. His first film: “12 O’Clock Boys” has had preview screenings at Lincoln Center, IFC Center, Rooftop film festival, and Full Frame Festival. 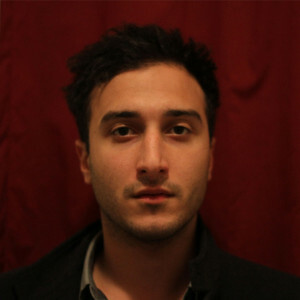 He was recently accepted to the Columbia University MFA Film Program.